It’s always better to put things in storage that have been cleaned up and tuned up. In this case, you’ll want to give your agricultural truck a good wash and dry it well. You don’t want any water left. Next, tune up your agricultural truck with an oil change and by checking your antifreeze and other replaceable fluids. Additionally, give your tires a little extra air. The cold air can cause your tires to go down in pressure and you never want to come back to bad wheels and tires. These three steps can save you a lot of trouble come springtime! Think about your car. You’d never let it sit for long periods when it needed an oil change and was running badly because you know it wouldn’t start back up when you needed it. The same applies to your agricultural truck. Lastly, disconnect your battery, at least the wire, but in the best case, bring it inside for the winter. There are a few options with fuel, depending on if your truck runs gasoline or diesel. In most cases, you’re going to be running on diesel. In this instance, never run your truck out of fuel. You will have to purge the air from the lines and pump. Instead, you should use a conditioner for the winter, and you should start it up at least once a month. It doesn’t have to be for very long, but just make sure you’re getting the engine warm. When you do this, drape an insulated blanket over the hood to trap in heat and help it out. If you’re running gasoline, it’s best to empty out the tank or risk “stale” fuel. 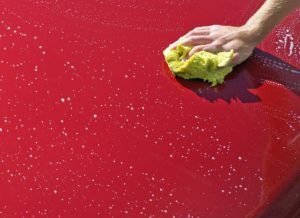 In this case, you’ll need to give it a little extra attention in the spring, but it should be fine over the winter. 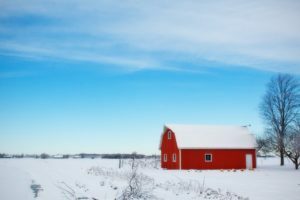 The most ideal storage solution is in a heated barn that will not damage key components of your agricultural truck or trailer. However, not all of us have this on our property. Instead, there are a few other options for storage. Try to at least store your agricultural truck under a shed or awning with a cover. This will keep the snow and ice off of your agricultural truck. You can also cover your tractor with a tarp, but you will need to leave holes for breathability or condensation can build up. Covering your agricultural truck will help with changing temperatures, snow, ice, and protect the components of your truck (and paint!) that are exposed to the elements. If you want your truck to last a long time, smart storage is always best. Need Advice? Call Osco Tank & Truck Sales! Contact us for more information about how to store your agricultural truck for the winter season and any specific questions about your truck. We are happy to help you out. Osco Tank & Truck Sales wishes you a safe and warm winter!